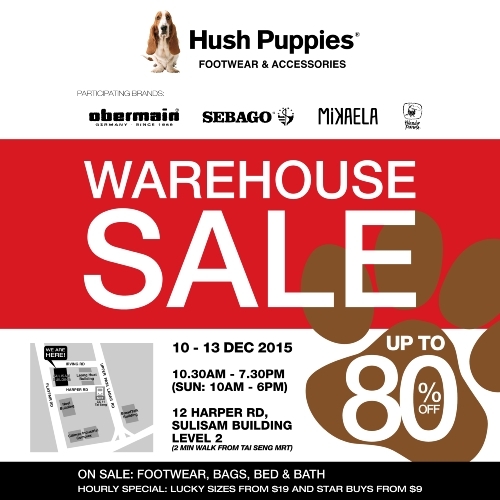 Hush Puppies Singapore are having their Footwear & Accessories Warehouse Sale from 10.30am to 7.30pm (Sunday 10.00am to 6.00pm). 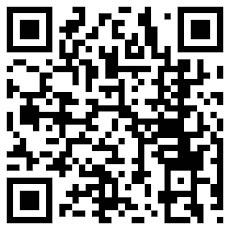 Enjoy Special Offers. Great Deals on wide range of Footwear items up to 80% off and many more. Other participating brand: Obermain, Sebago, Mikaela & Democrata. Offers: Hourly Special, Lucky Sizes from $19 and Star Buys from $9. Located at: 12 Harper Road, Level 2, Sulisam Building.